Mary Lee, a native of Greer, SC, graduated from Columbia College in Elementary Education. Her first career began by teaching first grade in Spartanburg, SC for seven years. Then her husband’s career took them to Raleigh, NC where she started her second career as a stay-at-home Mom with their two daughters for five years. She then started yet another and third career in sales of custom printing office products and promotional items for the next twenty years. Then another opportunity came along for Mary Lee and her family to move back to SC. Being avid Clemson fans, they were happy to relocate to the shores of Lake Keowee in November 2004 where Mary Lee’s husband George is now a successful homebuilder in this area. Therefore Mary Lee’s desire to continue in sales fits well with real estate as a way to help others achieve their dreams. Mary Lee has been recognized with Gold, Silver and Bronze awards by Bob Hill Realty’s Masters Club for outstanding service and sales. These awards have been due to Mary Lee’s personal and professional attention to each of her buyers and sellers. Mary Lee wants to help you experience a smooth transition in buying or selling your home. I wish I had the words to adequately express how much we appreciate all you did to make the sale of our house much less stressful than we ever imagined. Your professionalism, availability, genuine concern and your ‘above and beyond’ help blew us away. From assisting in any repairs from the storm damage late summer, to following up on our new house purchase (in another town where you were not even compensated), to packing boxes and visiting us in our new house, you are the BEST! You were highly recommended to use when we were searching for a realtor last year, and now we know why. We will continue to spread the word to others. Thank you for everything! We sold our house in Keowee Key in March of 2017. Our realtor was Mary Lee Bolen of Bob Hill Realty. She provided superior service coming every week and used a blower to keep our driveway and deck clean. When presale inspection called for several minor repairs, she took care of all those for us. She communicated in a timely manner with other realtors who showed the house for feedback. Mary Lee is very friendly, easy to get in touch with, was always in communication with us, and even helped us pack for our move. We could not have asked for better service from a realtor! Ten years ago we decided to move to the upstate area from Maryland. As out of town buyers Mary Lee Bolen took the time to find us the perfect home and did it all in one weekend. We thought this would be our last time purchasing a home, but things change and we found ourselves needing to make a move. We of course called Mary Lee and she found us another great home. We did run into some issues with paperwork, but Mary Lee handled this for us. She made us feel comfortable, even though we were out of town by making certain that the settlement was completed. Mary Lee helped our son become a first time home buyer recently. As a new buyer he felt a bit overwhelmed by all the details of the process, but Mary Lee ushered him through it. We appreciate her hard work and thank Mary Lee and the entire Bob Hill Realty team for providing excellent service to us and our son. Thanks to Mary Lee and Bob Hill Realty for providing top-notch, professional service once again. 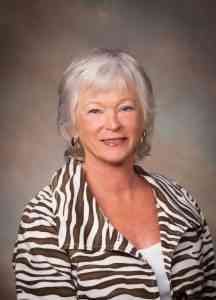 Mary Lee Bolen with Bob Hill Realty has been the most helpful and attentive Realtor we have ever worked with. Mary Lee is accommodating, kind, and went above and beyond at every turn. We are very happy with the valuable home we found, with the process of the purchase, and with every vendor that Mary Lee has recommended. It is rare to find this type of customer service these days and we would definitely use Mary Lee Bolen again should the opportunity arise.